Angela's Ashes was a publishing phenomenon. 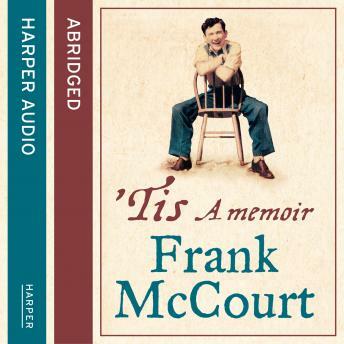 Frank McCourt's critically acclaimed, lyrical memoir of his Limerick childhood won the Pulitzer Prize, the National Book Critics' Circle Award, the Royal Society of Literature Award and the Los Angeles Times Award amongst others, and rapidly became a word-of-mouth bestseller topping all charts worldwide for over two years. It left readers and critics alike eager to hear more about Frank McCourt's incredible, poignant life. 'Tis is the story of Frank's American journey from impoverished immigrant with rotten teeth, infected eyes and no formal education to brilliant raconteur and schoolteacher.